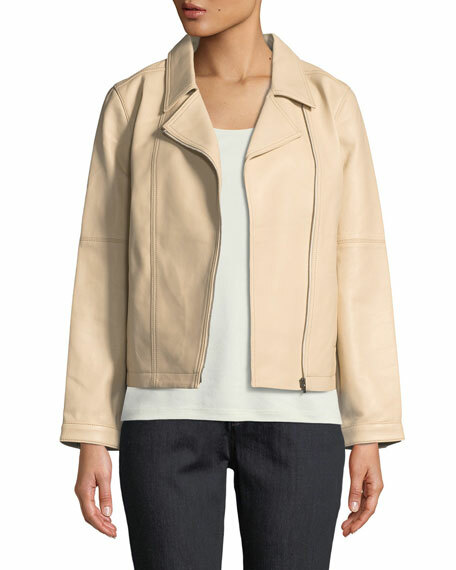 Eileen Fisher biker jacket in lightweight, buttery soft leather. 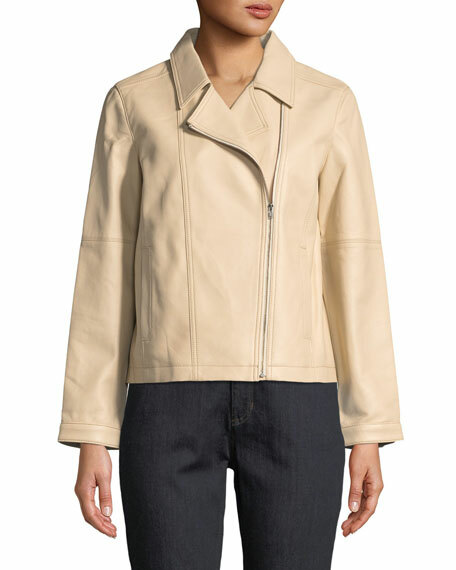 Notched collar; off-center front zip. Note: Color transfer may occur. 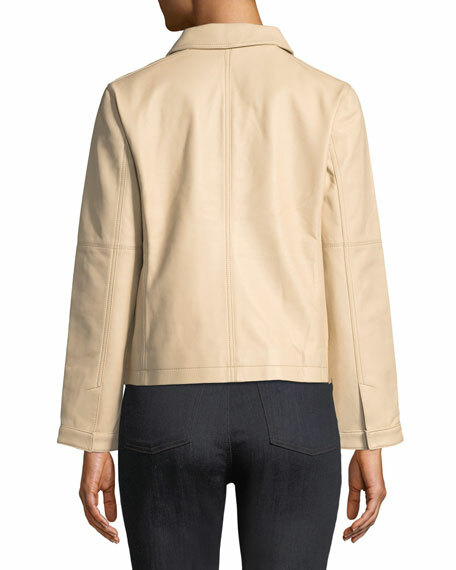 For in-store inquiries, use sku #2458069.